Santa brought me a Misfit Shine, aka the prettiest wearable on the block. How does it stack up against my beloved FitBit? I’d been coveting a Shine ever since I saw that it can be worn as a necklace. My main problem with most wearables is that they’re worn around the wrist, and I hate having things on my wrists. The FitBit, of course, can be clipped to waistbands or bra straps, but it still kind of always seemed to be in the way. Also, I was constantly worried that I’d forget to unclip it and put it through the wash – or (as was often the case) I’d carefully remove it and then forget to put it back on before my next outing. A necklace, though – that I can do. 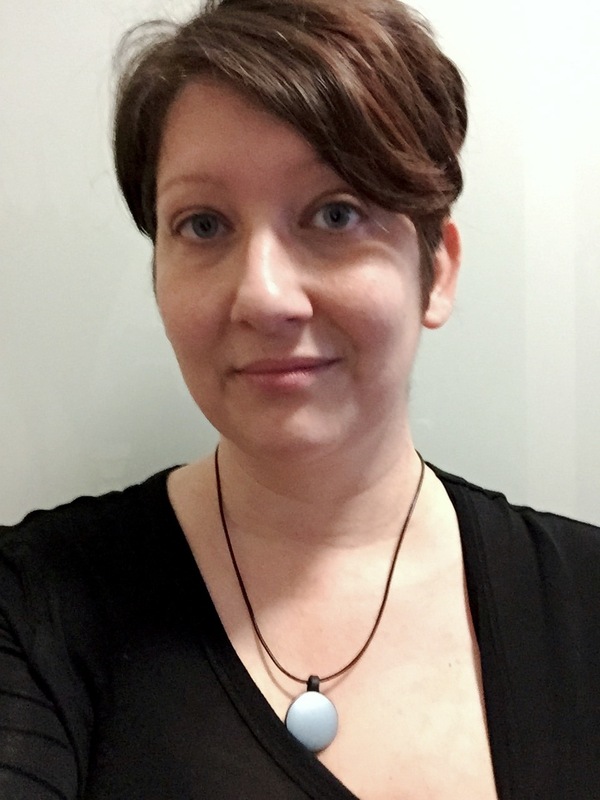 I originally had my eye on the Sport Necklace accessory, but it turns out the magnetic “clip” works just perfectly with a plain leather necklace threaded through it. It’s pretty cute, too, and it doesn’t scream FITNESS WEARABLE. At night I do wear it on my wrist to track my sleep; the rubber sport band isn’t too uncomfortable and I mostly don’t notice it. By morning I’m usually wanting to take it off, though, which actually is a good thing because it means I don’t forget to put it on the necklace. 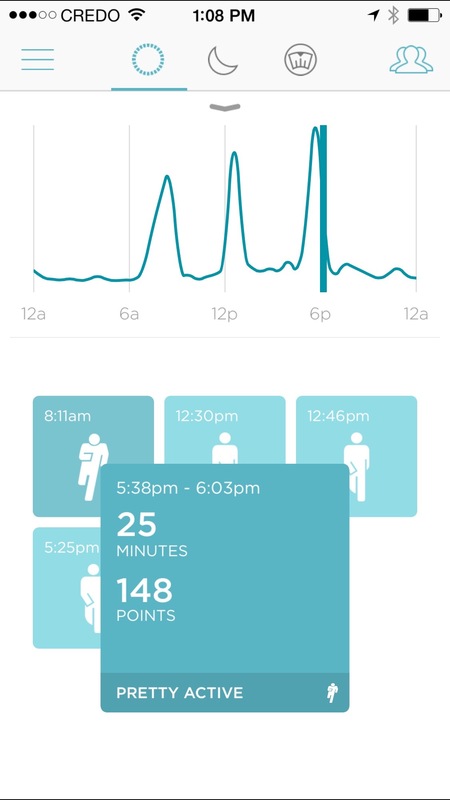 As far as tracking data goes, the Shine is a lot more limited than the FitBit. 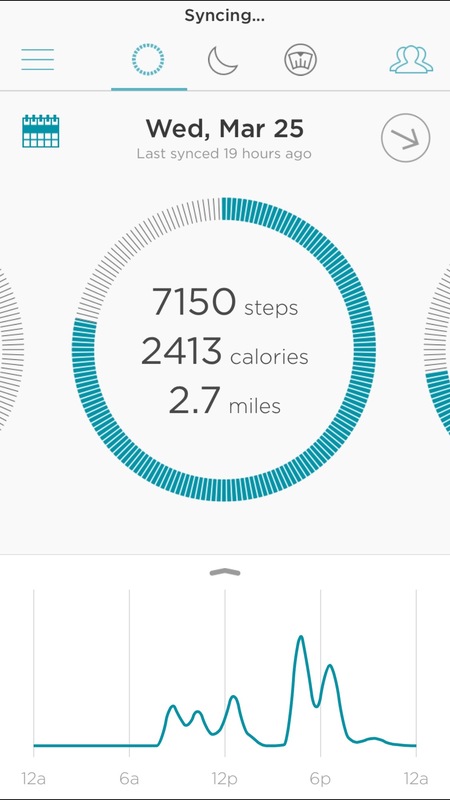 It shows your steps and an activity graph, but doesn’t track elevation or activity type; the most detailed view shows activity blocks rated by levels of exertion (pretty active, kinda active, etc – I’ve yet to get very active, so I’m not sure what the exact phrasing is for that one) with a graphic of a little exercising dude. Cute, but not super useful. There doesn’t seem to be a way to see daily or weekly totals. 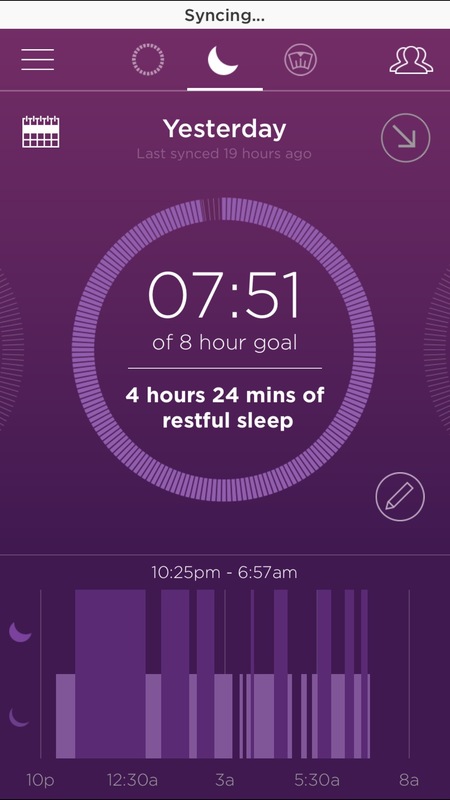 The sleep tracker is also less detailed than the FitBit, with no readily available guide to the difference between “sleep” and “restful sleep.” Sleep time seems pretty accurate. I can clearly see periods of non-sleep that correspond to nighttime wakeups (yay, babies who don’t sleep through the night). Again, I wish there were more details, but I’m satisfied with what it shows. 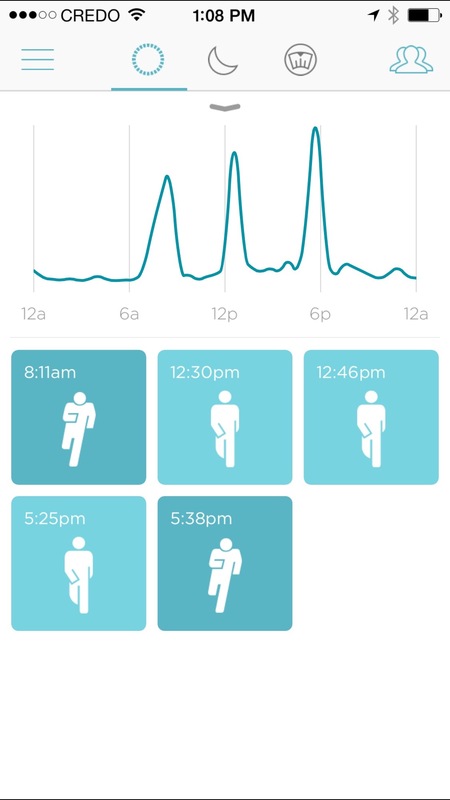 The Shine does sync with the iPhone Health app, but it only syncs step data, not sleep. 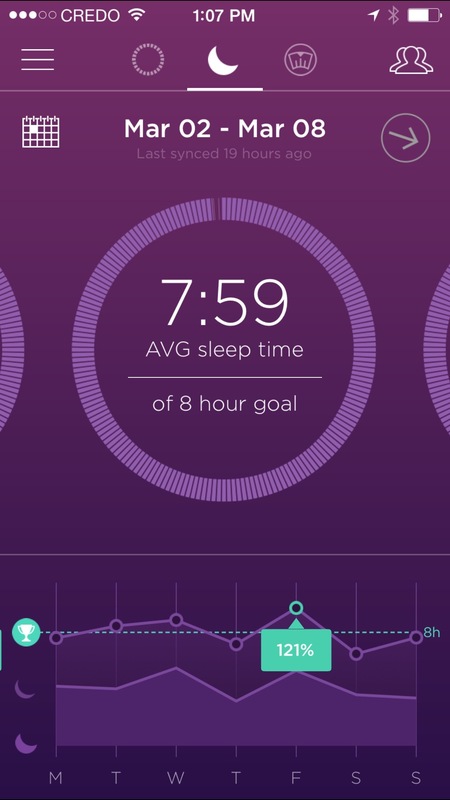 (I’m pretty sure the Misfit Beddit syncs sleep data with the Health app, though.) That’s the biggest thing on my wishlist for future updates, but I’m not holding my breath. All in all I’ve been really happy with the Misfit. It hits a nice balance between fashion accessory and fitness tracker and does a good job of feeding my hunger for stats. 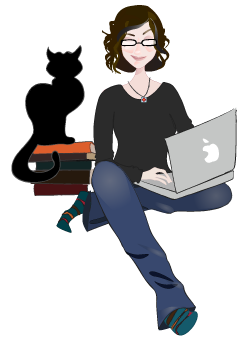 And there are some seriously cute new accessories coming out soon, too!